The Why Files | 1. Comet collision! Reach deep into your fridge. Past the green cottage cheese and the bunch of blackened radishes. Yes, grab that formless lump inside the crinkly tin foil! What exactly is it? Half Ma's meatloaf and half seventh-grade science experiment, those are leftovers -- the bites and bits that didn't rate as Dinner, but might pass as Tomorrow's Lunch. Leftovers. Everybody got 'em. But what to do with 'em? NASA says whack them hard and watch what happens next. That's the mission of Deep Impact, which just sent a daughter spacecraft into impact-oblivion against comet Tempel 1. 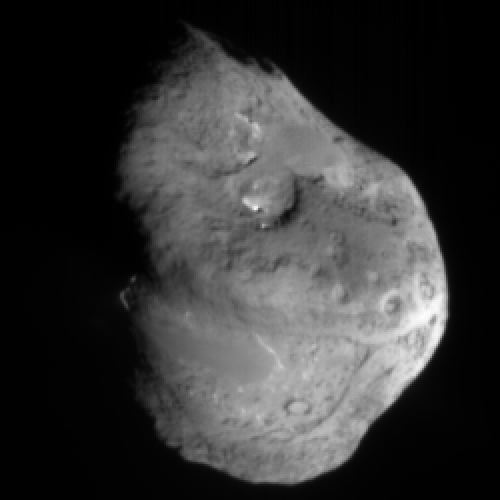 Above right: 30 seconds to impact, in an image from the impactor's targeting sensor. Tempel 1 never saw it coming. 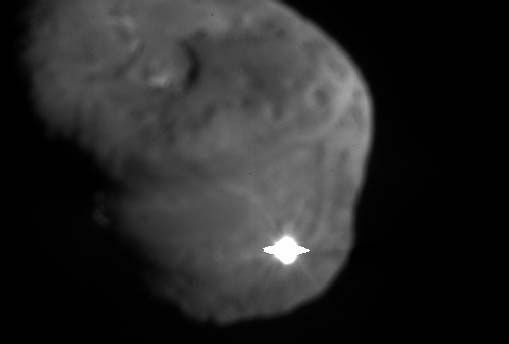 Below: Moments after Deep Impact's probe smashed Tempel 1, the crash site was bathed in light. Will Tempel 1 ever recover? In an analogy we will reheat and reuse ad nauseum, comets are the leftovers of the cosmos, the tin-foil-wrapped crud from the back shelves of the solar system. What are the basic properties of the comet's nucleus, especially mass and density? How does a comet change through time, especially when it gets a suntan? When two comets collide, do they form one big comet, or just blast each other to smithereens? 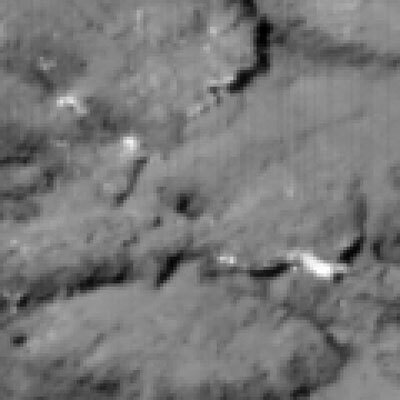 Tempel 1 is clearly not the only comet in space. What have we learned from three other close encounters with cosmic leftovers? There are pages in this feature plus a bibliography and credits page.